Winter – the time when you want to bury yourself in your coat collar to keep the cold wind from your neck. Especially when temperatures drop below freezing, it’s important to be warm and comfortably dressed. That’s when a men’s coat is most needed. These come in many different designs, various colours, and all cuts and lengths. 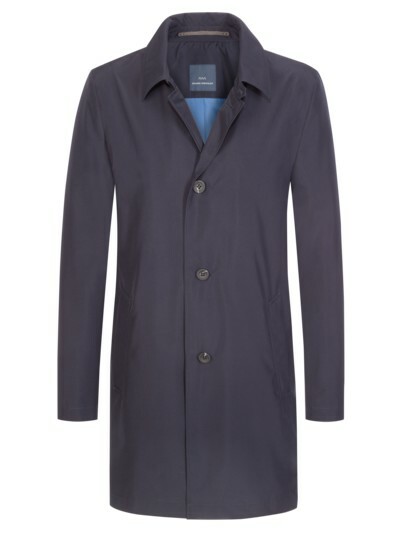 But they don’t just serve you well during the cold winter – a coat of any size is a practical companion all year round. 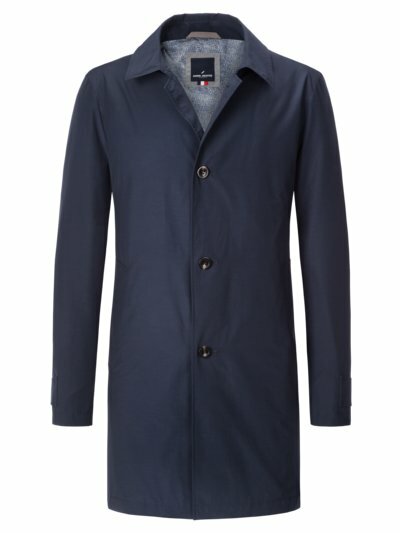 What men’s coats are available? Do you wear plus sizes and are looking for a coat for a particular occasion? It’s not always easy to find what you’re looking for. Together with our styling experts, we have created a list of stylish coats for men. The smart, English Chesterfield coat is usually a coat that falls to the knee and dispenses with unnecessary frills. In most cases, this men’s coat has a single row of buttons. A Chesterfield is indispensable, especially for your business wardrobe – in thick wool fabric for the winter, and in lighter fabric for the warmer seasons. A snug-fitting, accentuated waist is typical for this cut. Since the shoulders are lightly padded, it creates a broader silhouette and a visually coherent appearance in plus sizes. Duffel coats are extremely popular among plus size men. The straight cut is comfortably wide, guaranteeing plenty of freedom to move. 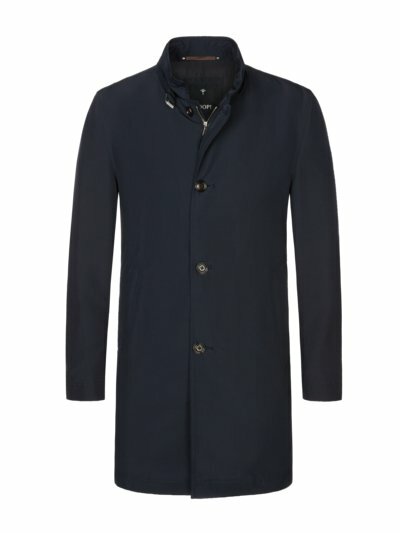 If you wear size XXL or above, you will feel particularly comfortable in this classic wool coat. By the way: You can recognise this high-quality coat by its characteristic toggle buttons and that signature hood, which is particularly practical on cold winter days. 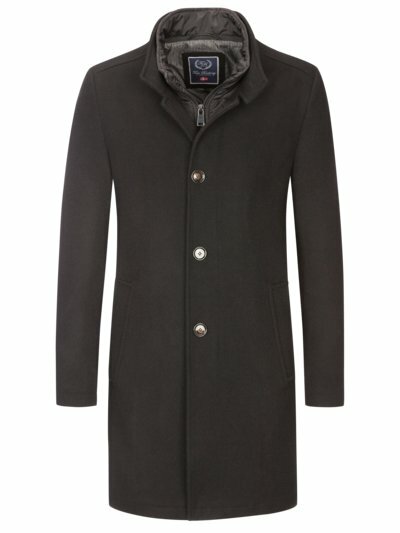 Its sporty character makes the wool coat a stylish casualwear companion. It’s less suited for everyday business wear. Are you looking for a plus size coat? 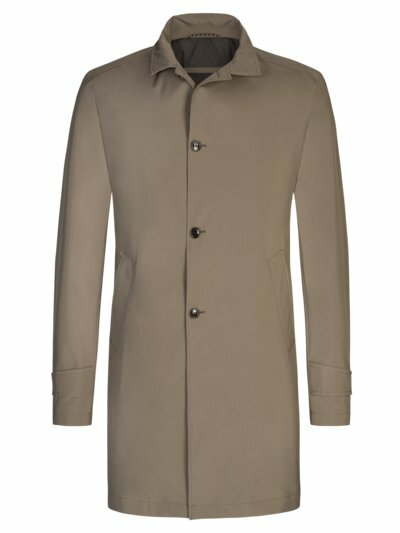 Do you take pride in your appearance, and want a coat that fits well and feels comfortable? Then discover our large selection of men’s coats in plus sizes and tall sizes. Whether you are looking for a coat for the winter or between the changing seasons – our extensive range is bound to impress. We offer coats in sizes 58 to 70, as well as in the smaller sizes 29 to 36 and in tall sizes 110 to 130.